Bath salts in the present context don’t refer to personal hygiene or bathing products found in local drugstores. Bath salts are manmade drugs which are chemically related to the chemical cathinone, a stimulant medication originating from the khat plant which grows in parts of Africa and the Middle East. This accounts for their psychoactive effects in addition to lots of potential dangerous effects which could happen as a result of taking them. NIDA reports that the most frequent ingredient in bath salts is a synthetic compound called 3, 4 methylenedioxypyrovalerone (MDPV). Other stimulant compounds found in bath salts are ephedrine and pyrovalerone. 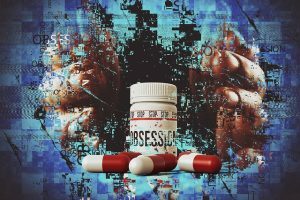 This means that the compounds have no known medicinal uses and are important substances with the potential for the growth of abuse and physical dependence. 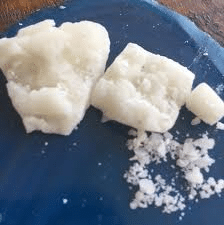 NIDA and the DEA both report the effects of the drugs are similar to the effects which occur with the use of methamphetamine (crystal meth) or the rave drug ecstasy (MDMA). Individuals chew the leaves of the khat plant and brew the leaves and stalks in teas to attain stimulant effects. Synthetic cathinones, commonly called bath salts, have much stronger effects than the stimulant cathinone (which can be thought of as a potentially dangerous medication ) and are significantly dangerous substances of abuse. Bath salts might be found available under a range of titles, such as flakes, white lightning, vanilla sky, zoom, white dove, and a slew of others. These substances are generally manufactured overseas in countries such as China and India, and there’s very little supervision which goes into their production. They were often bought in local shops until the DEA officially listed them as controlled substances. Despite their present designation, they may nevertheless be found online.